The Monroe Library will resume normal hours Wednesday, August 30. For more information, visit http://emergencyinfo.loyno.edu/hurricane-harvey-update. Information about the library’s hours can be found at http://library.loyno.edu/about/hours.php. 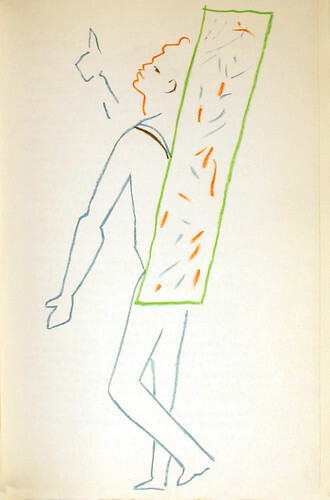 We’re really enjoying Jean Cocteau’s color lithograph illustrations from a pair of books that recently migrated to Special Collections & Archives from our public stacks: Jean Cocteau: Théâtre illustré par l’auteur, books I and II,1957. You can view these books in their entirety in the Booth-Bricker Reading Room on the third floor of Monroe Library at Loyola University! email: first initial, middle initial, first six letters of last name followed by “@my.loyno.edu”. You can also look it up in the “Find People” directory. Username: Campus-wide ID (CWID). It is your 8-digit student id number. If you don’t know your CWID you can find it printed on the front of your Loyola ID card. Student Id (CWID): It is your 8-digit student id number. If you don’t know your CWID you can find it printed on the front of your Loyola ID card. PIN: The default PIN is the first 2 letters of your first name and the last 4 digits of your social security number. You will be required to change the PIN when you login for the first time. * Changing your PIN in LORA will also change your password for campus wifi, library computers, library printing, and off-campus access to online resources. This takes twenty-four hours to take effect. Username: Wolfpack ID. It is the portion of your email address before the “@my.loyno.edu”. 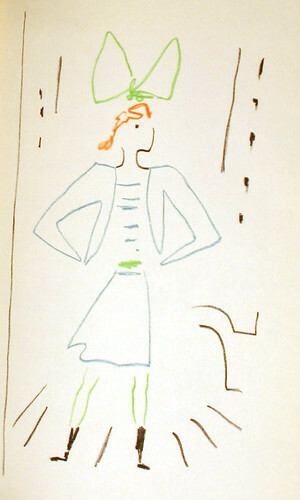 Password: first six characters of LORA pin; any letters must be upper case. Authentication: Wolfpack ID. It is the portion of your email address before the “@my.loyno.edu”. Username: Choose anything you like, such as your name, abbreviations, or an alphanumeric code. Password: Choose anything you like. Only you will know your password, and we cannot look it up. If you forget your password, you can use the Forgot Password page with your ILLiad user name. * We recommend setting your username and password to be the same as your Wolfpack ID and password. The student login for library resources has changed. Beginning Monday, August 21, 2017, use only the first six characters of your LORA PIN (personal identification number) as a password. All letters in the LORA PIN are to be uppercase. This holds true also for wifi, the computers in the labs and the library, and printing. Updated LORA PINs now go into effect at 9:00 am every day for the previous 24 hours. The login for library resources is used whenever you are away from campus. It is also used for some resources while on campus, such as ebooks and etextbooks. Blackboard and email logins are not affected. If you have any questions, contact Information Technology at 504-865-2525 Monday to Friday, 8:30 am to 4:30 pm. Browsers sometimes issue a security warning that is based on incomplete security information on our end. With Google Chrome, click “Advanced” and then “Proceed to [URL].” We are working to fix the problem. Internet Explorer does not allow such connections, so please use another browser, like Chrome, Opera or Firefox. If your browser displays a warning suggesting that a link on a library page may be leading to a page that will try to steal your personal information, this is a known problem. We’re working to fix it, but in the meantime, you can safely use our resources. Please be sure you got the link from a page with the domain “loyno.edu.” Google Chrome will still take you to your new page, but first click “Advanced,” then “proceed to [URL].” Firefox and Opera also have similar options. Internet Explorer will not permit you to proceed and should be avoided. If this page appears instead of the normal library home page at http://library.loyno.edu, you will need to clear your browser’s cache, or memory. The browser is loading the page from its own memory instead of the website. How to clear your browser’s cache. “Extract from the Reconstructed Constitution of the State of Louisiana,” 1868, a slightly tattered treasure from our Collection of New Orleans Miscellany . 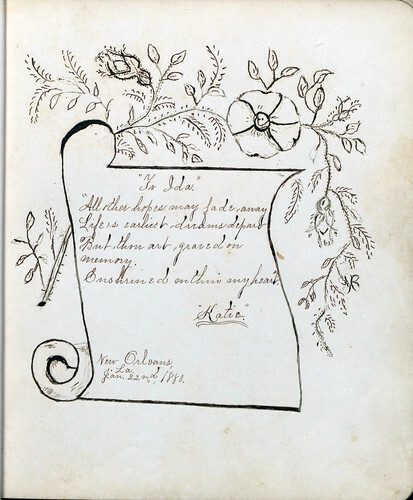 Today in honor of the founding of the Jesuit Society we are highlighting our Jesuit Scrapbook from our Digital Archives. The scrapbook is a record of the men who served in the Society of Jesus, and the churches, schools, and institutions they established in the South. 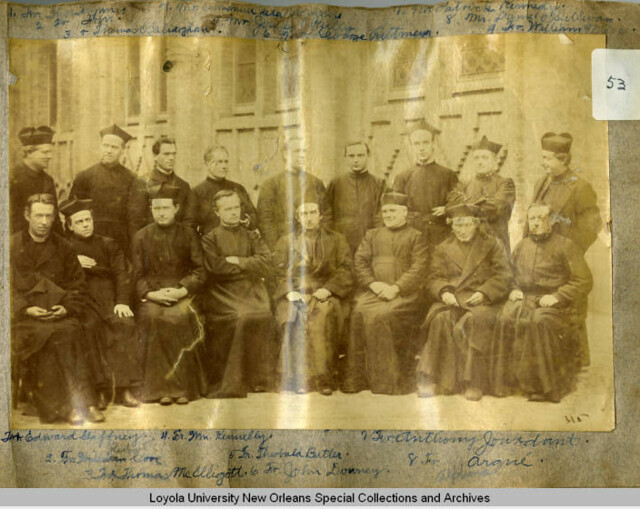 The photographs in the scrapbook include numerous portrait photographs of the Jesuits working in the South, group photographs of Jesuit Communities, and major houses such as the College of the Immaculate Conception in New Orleans and St. Charles College in Grand Coteau, La. 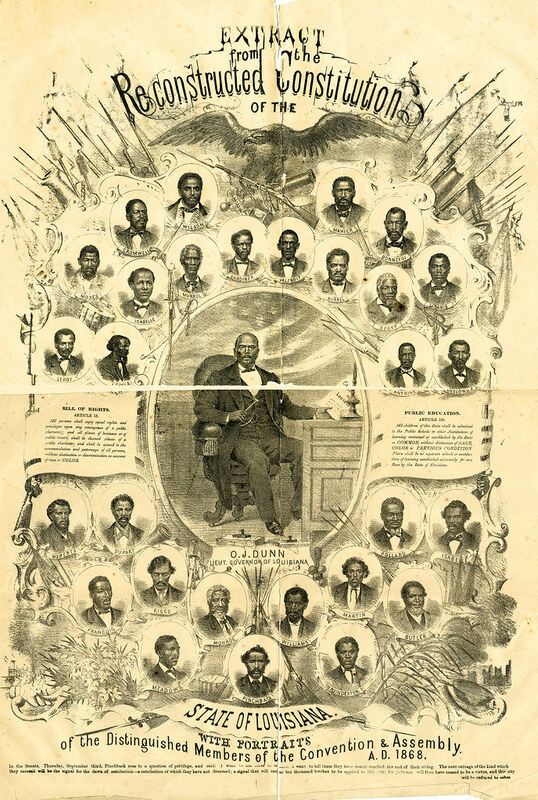 This scrapbook can be viewed in its entirety can be viewed via the Louisiana Digital Library by following this link. 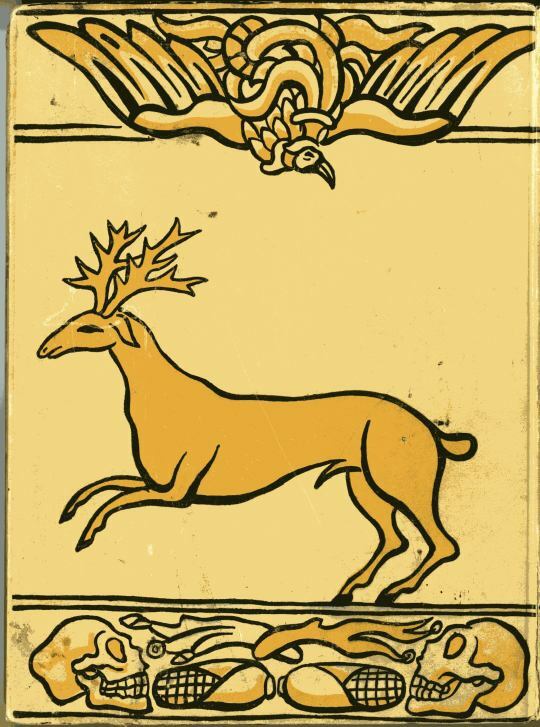 Physical rights are held by Loyola University New Orleans, Archives of the New Orleans Province of the Society of Jesus. 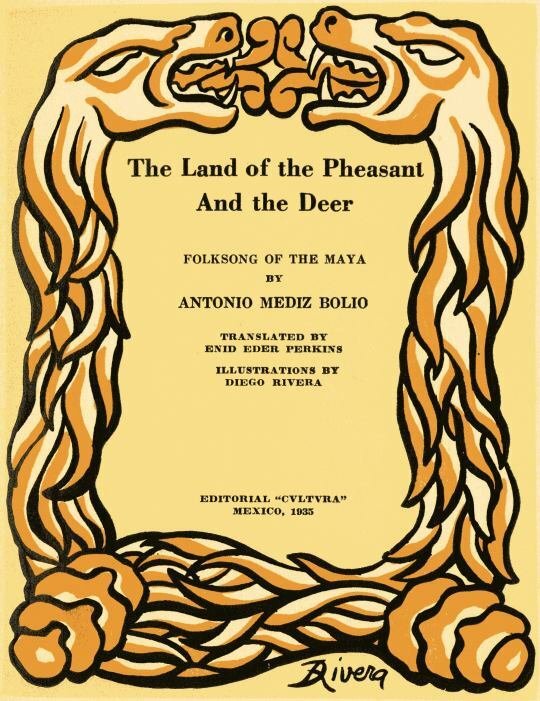 A book that recently migrated from the stacks to Special Collections is a translation of Antonio Mediz Bolio’s The Land of the Pheasant and the Deer: Folksong of the Maya. 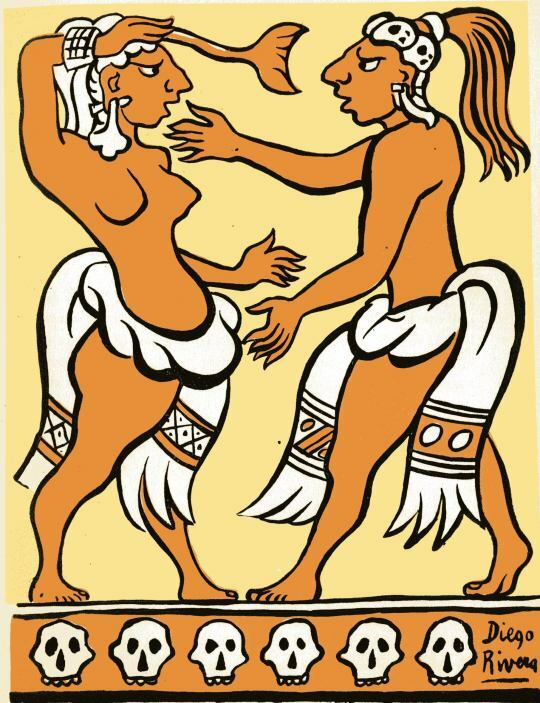 This English edition of the work includes several illustrations by renowned Mexican artist Diego Rivera. Best known for his controversial murals, Marxist ideals, and tumultuous marriage to Frida Kahlo, Rivera remains a central figure in Mexican and 20th century art. 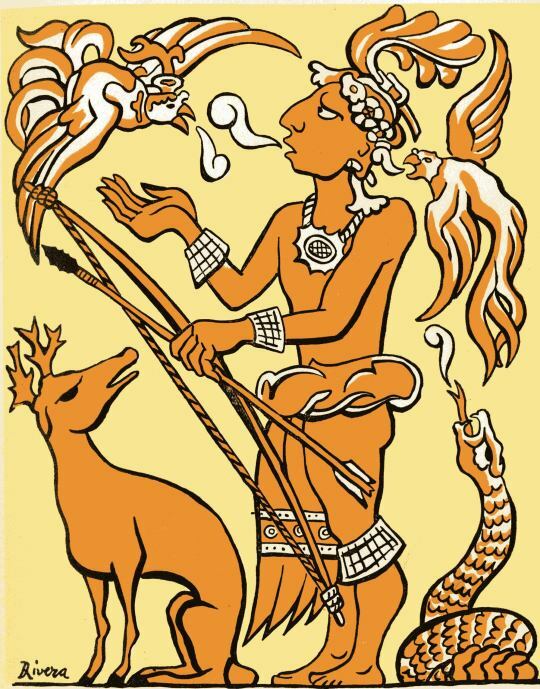 “I am from the land of the Mayab. She is my mother. 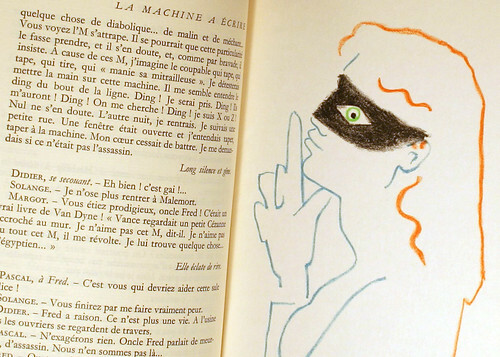 To my mother dedicate I this book, too little for her, too much for me. “To the woman whose eyes tenderly watched upon this offspring of my heart. 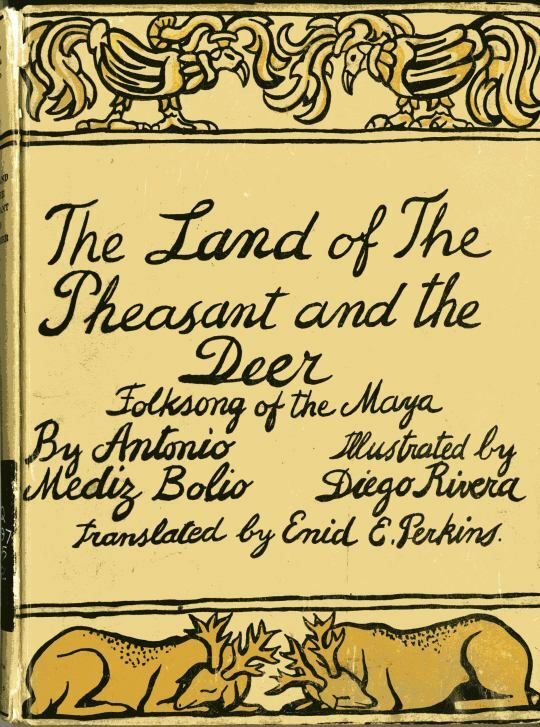 The stories can also be read in Spanish here. 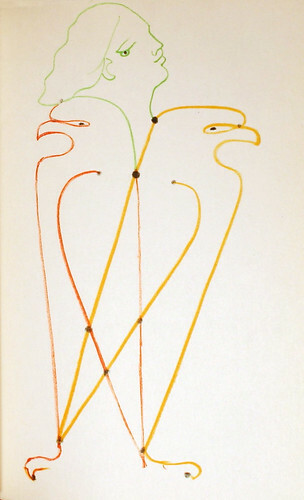 You can view this book in Special Collections. During the summer session, we are open Tuesday-Thursday 9am-4:30pm, and Monday and Friday by appointment only. The Monroe Library is hiring! Please visit the Loyola Human Resources Employment Opportunities page to apply for the Information Resources Specialist position. The Information Resources Specialist manages print and electronic journals and packages, and manages books orders through vendor’s website. Develops monthly expenditure reports and usage statistics for annual review of information resources. Manages donations of books and music to the Monroe Library and the government documents collection. 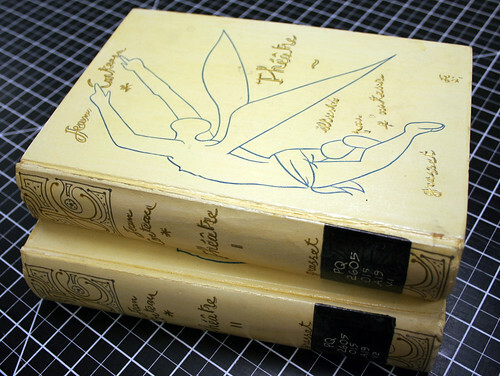 Works with others to maintain print collections and order replacements for missing and lost materials. QUALIFICATIONS: Bachelor’s Degree. Familiarity with library information resources. Computer skills in an online multi-tasking environment. Comfort with the use of technology for data analysis, including demonstrated proficiency with Microsoft Excel. Excellent interpersonal, communication, and writing skills, with clear evidence of ability to interact effectively and cooperatively with colleagues and patrons. Ability to work productively in a team environment. Collaborative analytical and problem-solving skills and initiative. Project planning and implementation skills. 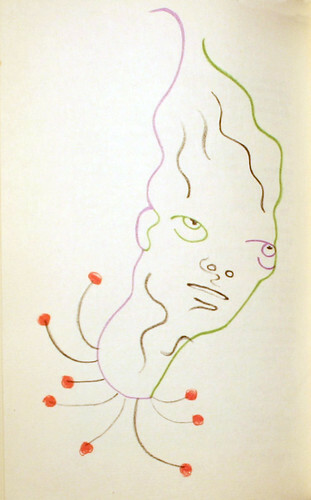 High degree of accuracy in complex, detailed work. PREFERRED QUALIFICATIONS: Academic library experience. Supervisory experience, especially with college-age employees. Ah, the days of handwritten notes! 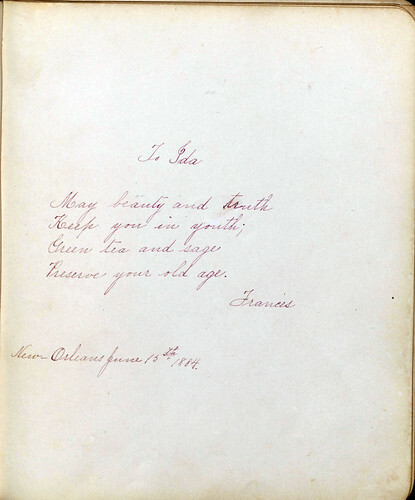 This selection comes from the autograph book of Ida Marie Zorn Thompson(1861-1938), who was between the ages of 15 and 24 and living in New Orleans when the notes were compiled. 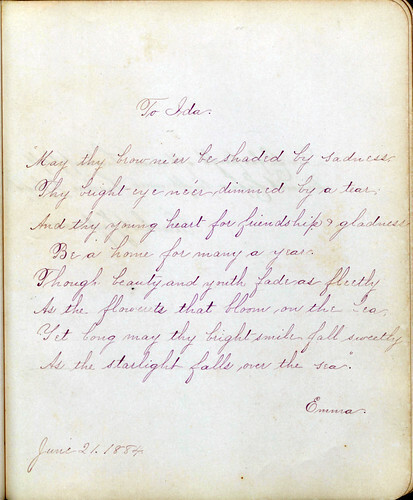 Written to Ida by various girlfriends, each note sweetly dotes on Ms. Thompson (though not without a tinge of morbidity here and there). 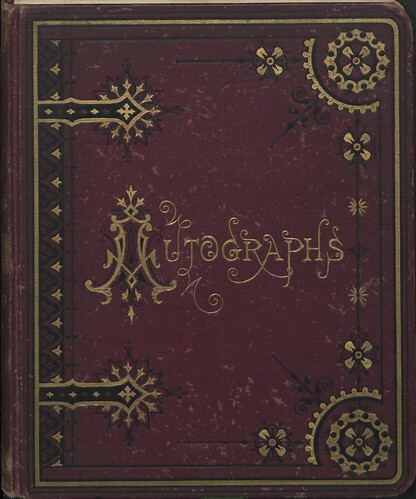 You can view more of Ida’s autograph books as well as scrapbooks and journal entries belonging to her son, New Orleans poet Basil Thompson in the Loyola University New Orleans Scrapbook Collection. Today’s post is dedicated to Paul Morphy, a world-renown chess prodigy born in New Orleans, LA in 1837. 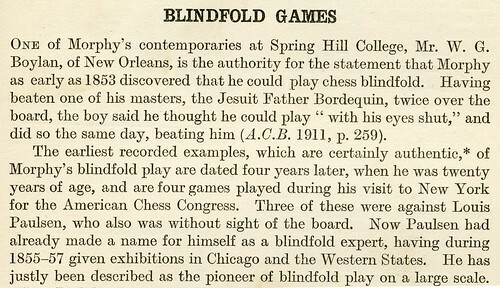 Morphy began playing chess as a young man and became notably successful at “blindfold games,” which, yes, required playing without looking at the board. 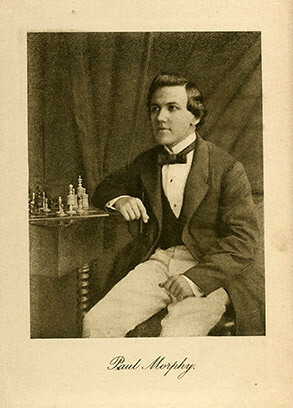 *selection of images and text from Life of Paul Morphy in Europe (1859) and Morphy’s Games of Chess (1916). Morphy was a member of the Chess, Checkers, and Whist Club in New Orleans, which was housed in the Vieux Carré on the corner of Canal and Barronne st. until 1920. A marble bust of Morphy was featured prominently within the club. 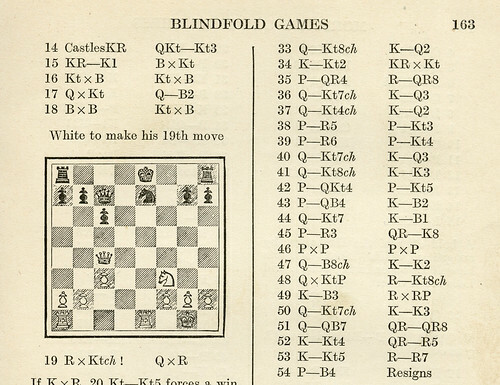 Join us in the Booth-Bricker Reading Room to learn more about this fascinating man and his adventures in chess! 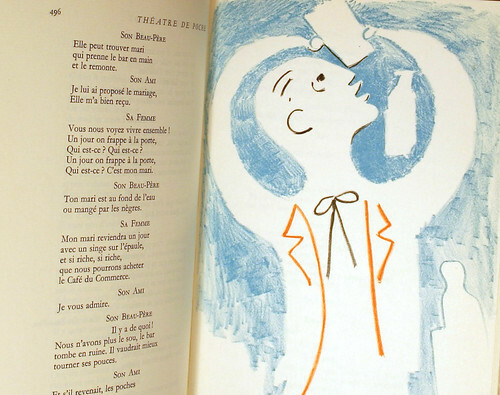 You are currently browsing the Library Lagniappe blog archives for August, 2017.